Tata Motors will soon launch a nation-wide service camp for Tata Venture owners called Tata Venture Service Camp. The service camp will be held from May 24 – 26, 2012, across 281 Tata Motors authorised dealerships in the country. According to Mr. Ashesh Dhar, Head- Utility Vehicle Product Group, PCBU, Tata Motors, “At Tata Motors, we consider after-sales as a key differentiator for our products. The Service Camp that we extend to our customers is our way of proactively reaching out to customers, and reassuring them that the company in constantly involved in the life of their vehicles. It has been a year since the Tata Venture was introduced in the market, and has been a good example of a comfortable and affordable people mover. These Service Camps not only help in addressing the servicing needs of our customer’s vehicle but also help in collating the required feedback, to better our product offerings.” Through these service camps, Tata Motors will provide Tata Venture owners with an opportunity to ensure that they are in the best of condition. Besides a comprehensive free check-up, customers can avail of 10% discounts on labour charges and 5% discount on Tata Motors spare parts. The Tata Venture Service Camp team will also engage with customers on maintenance tips & interior enrichment of the vehicle. Customers can also avail for various schemes including exchange and extended warranty. 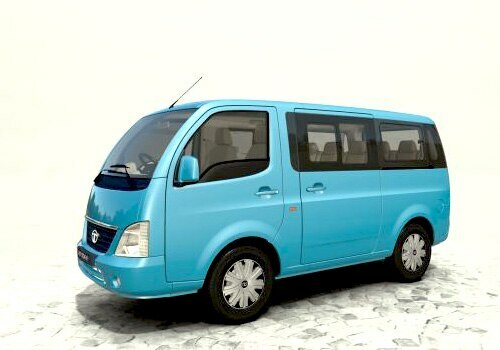 The Tata Venture is available in 5, 7 and 8-seater options in 3 row front facing configuration and is available in a range of 5 colors and 3 trim levels, with a starting price of Rs. 4.53 lakhs, ex-showroom price Dehradun. The Tata Venture is powered by a 1.4 Litre turbo diesel engine, delivering 71 PS power, with best in class fuel efficiency among diesel MPVs in the country. The mileage as certified by ARAI is 15.42 kmpl. Tata Motors February sales at 77,543 nos.